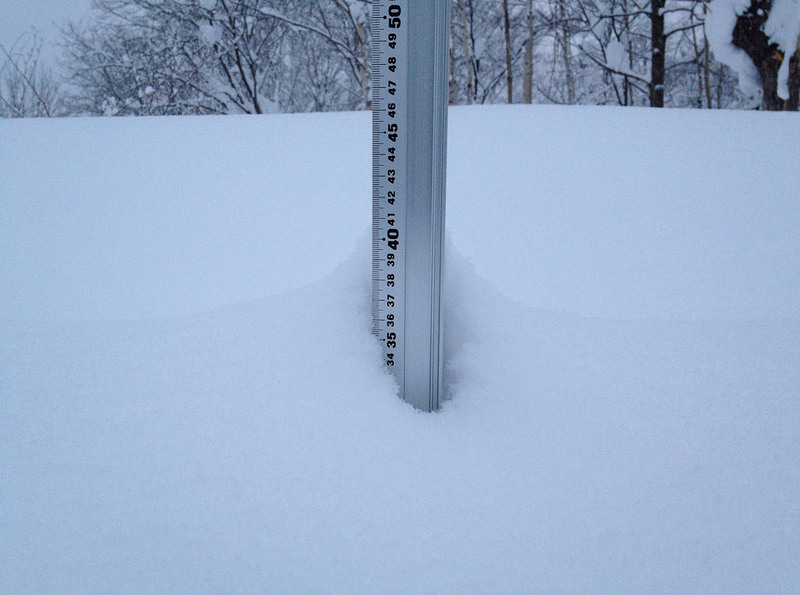 *48-50cm of fresh snow as fallen in the last 24hrs in Hirafu Village. At 7:00 today the temperature was -4°c. Hirafu, Hokkaido and Japan is in the grip of a severe winter weather pattern which has dumped approximately 50cm on the lightest driest powder on us here in Hirafu in the last 24hrs! Last nights weather forecast was spot on and it is still dumping right now. Our weather station was hit by some snow falling off a near by roof and we lost approximately 10cm from the station. Today will be amazing on the mountain – deeeeeeeep conditions expected higher up on the mountain.